Hello, loyal readers! (Do I have any of those? If I do -- thank you for reading!) The first two Fortunes of Fate covers were bugging me. I felt like I needed to go simpler than I did, since the texture and the gold outlining was a bit distracting. So, I have redone the covers for Dreams in Shadow and Love Fades! That's not all that's in this post, though. 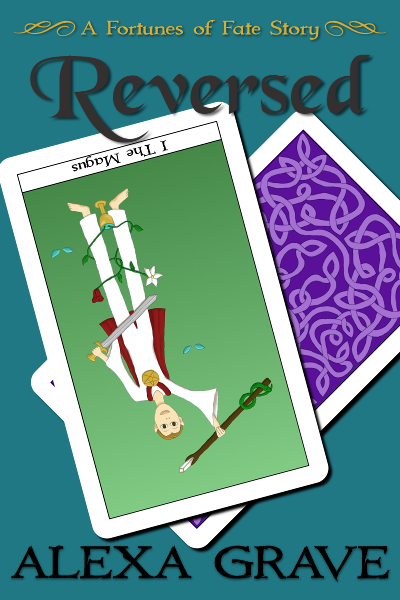 After you admire the new covers, you'll have a chance to vote on the cover for the next Fortunes of Fate title: Reversed! 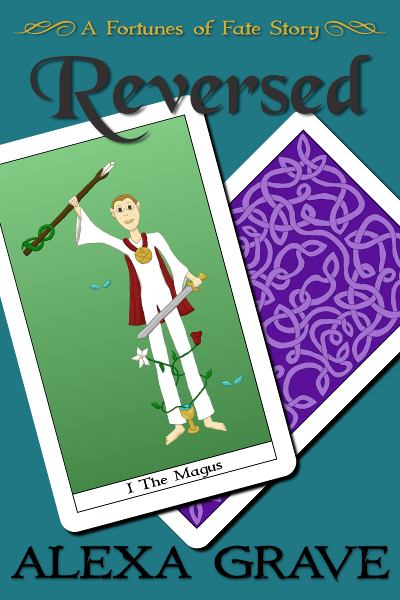 Make sure to scroll past the first two covers to take a look at the two options for Reversed. And do it soon because there's not much time to vote. 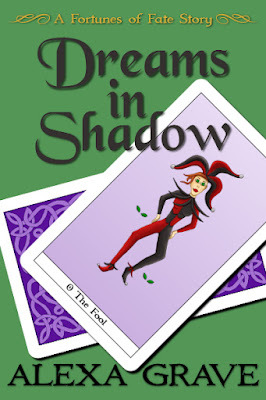 First we have the Dreams in Shadow cover. Please understand, I just pushed the changes on Amazon, so if you take a look at it there, it may be 2-3 days before the new cover shows up. Heck, it will give you the chance to compare covers at least! 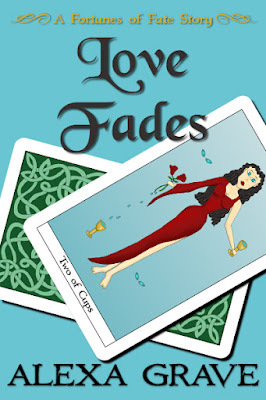 And then of course there's the Love Fades cover. I still love this story. Got to have a little bit of romance with the fantasy once in a while. As a matter of fact, I'm hoping to do a free promo for Love Fades some time in May! So, watch my Facebook and Twitter feeds if you're interested in snagging a copy. Again, the cover changes were just pushed to Amazon, so it may take a bit for them to show up on the page. Now for the cover sneak peek you probably quickly scrolled down to see. Reversed is the third story in the Fortunes of Fate series. It will be available from Amazon on May 13, 2016, but the pre-order will be up this weekend. And I'd like to have the cover figured out before the pre-order goes live! That's where you come in. What do you think? Should The Magus card be upright (as you see to the left) or should it be reversed (below and to the right)? The latter would reflect the title, but the former might be better pleasing to the eye. Take a look at the covers and let me know what you think. You may post here, on my Facebook page, or on Twitter. If you want to keep your vote super secret, feel free to use my Contact page to e-mail me your vote. I will be taking votes up to Noon CDT on Friday, April 22. EDIT: The REVERSED version of the cover won the votes! And the pre-order for Reversed is now up on Amazon! It's that time of month again -- release day! 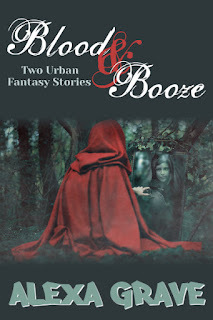 Blood & Booze: Two Urban Fantasy Stories came out today. 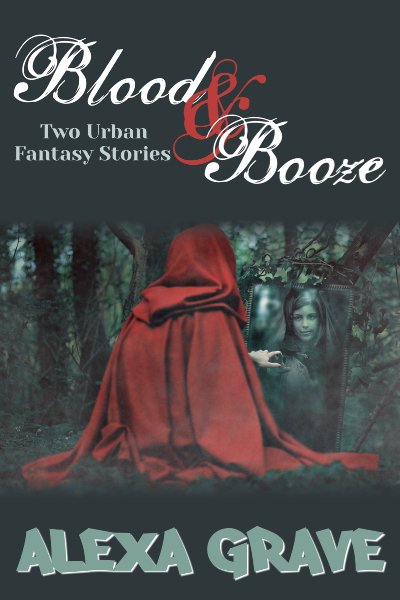 It includes the stories "Bloodstains" and "Hair of the Dog". You can find it on Amazon for purchase or to read via Kindle Unlimited and the Kindle Owners' Lending Library. If you read the stories, please leave a review! Now, of course I'm going to give you a little taste of what can be found in this release. A snippet of "Bloodstains" is below. 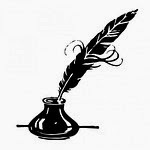 If you'd like to see a snippet of "Hair of the Dog", you can sign up for my newsletter (sign-up can be found on the left side of my blog). The next edition will be sent out in the next couple days, so don't hesitate! The gate mocks me, taunting me with images of a new beginning. To me, at this moment, it's the end I see, not the fresh start that will come of it. 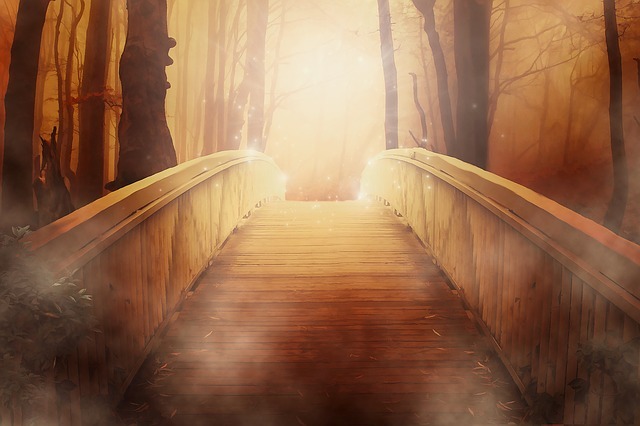 In the middle of the woods, the arch of the branch hovers over me, causes me to see things I ought not, and the deep shadows of dusk play with my eyes. Cold pierces through my gloves, prickling my skin. In the distance, blood stains the snow. My brain knows it's the entrails of a deer, left by a hunter earlier in the day, but my thoughts envision what it could be, what it might be, and what it will be. The blood reminds me of all the people I care about, the ones I'll lose when the ground swallows us whole and the wind rips us in two. It's the blood on my hands, the blood on all of our hands, and there's nothing I can do but weep for the Lost Ones. The ones who won't make it, who won't survive the rending; the end of an end. I won't lie down, though. I can't. Until I have to stand at this gate, the end seconds away, I'll gather all those I can, to save them, protect them. They will walk with me and survive, so the pool of Lost Ones will diminish, even though the best intentions can be blown away with the gale, no matter how hard you fight against it. The metallic tang of blood settles in the back of my throat. Another object on the ground jumps out at me, intertwining with the visions inside. The skull of a small animal lies half-buried in the snow. I pick it up. Time has scraped the bone bare. How quickly is the hourglass dropping the grains of sand? The skull in my hand insists the last grain will soon fall and the hourglass will need to be flipped, so it can all start again. But in the turning, our world will shake. Only a few friends will escape with me through the gate, and I'll leave too many behind to die, but not for lack of trying. There's only so much I can do if those I care for won't listen, won't believe. A trail of red leaks out of the eye socket of the skull, and I drop it. It rolls toward the discarded entrails. The blood in my mind will never fade. It's the end of the world. But one woman has a way out – gather enough friends and open a portal before the Earth floods, devouring itself whole. Except even if she does, there isn't enough time to save everyone. Who will she have to leave behind? Lydia needs to see a man about a dog. And it's not a shot of whiskey she craves. This roaring 20s speakeasy doesn't only harbor flappers and bootleggers. Lydia can attest to more sinister things posing among the normal revelers. She's one of them. And with a hungry beast inside her, she can't withstand her thirst. Yup, back to Getting Stuff Done. I just wrote the chapter on doubt this weekend, and it's of course something I struggle with daily. This writing business is a tough gig. Either there's the traditional route that can take years, if ever, to break into and do well with. Or there's the indie route, which let's face it, there are so many authors out there, you have to hope at some point your writing is noticed (usually via some aggressive marketing or advertising...or luck) among all the others. As writers, we seek validation. And the only validation we have are sales and reviews. When you're first starting out on a path, you don't have much of either of these, which makes things even harder. And makes for a great place for doubts to fester. That's pretty much where I'm at right now. The doubts are throwing a rave in my brain. I know I was born to write. The stories in my head have driven me as far back as I can remember. I'll never, ever stop writing, no matter what. That's not the doubt here. No. The doubt is that sore that I can't seem to stop poking at wondering if I'm a good enough writer. If I'm good enough to make any traction in the publishing world, to find readers who love my characters and worlds as much as I do. And right now, I really don't have the validation that I am good enough. Sales of the short stories haven't been the best. Yes, I know short stories are hard sells, but I'm starting to second guess myself. Should I even be publishing any of these stories? Are they good enough? Should I have approached the stories a different way than I did? Newsletter sign-ups are non-existent. The one story that has sold the most hasn't gained any reviews on Amazon. And I feel like I'm in the middle of the ocean where my legs have just frozen up so I can no longer tread water. 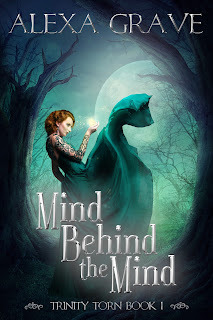 I also started edits on Mind Behind the Mind this week. It's been a while since I looked at the novel, and I was quite pleased with what I saw. But then those stinkin' doubts crept in. I may think it's good, but will anyone else? Will I successfully be able to make the following two novels in the series as good as this one? Same voice, character quirks, consistency? I wish I could find a vat of acid to throw all of my doubts in. That would be lovely to have peace at last, but that's likely never going to happen. I am a worrier by nature. It's a hard mindset to change. Of course, I'm going to keep plowing ahead. I want to share the stories in my head with other people, and I'm hoping I can find an audience for my stories, even if the doubts still pipe up at the most inopportune times. I also have to remember I'm not perfect. Not everyone will like what I write. But I truly hope I can find my readers somewhere out there one day. Doubt be damned.